Physiatry is a type of medicine that specializes in diagnosis, treatment, and management of disease primarily using “physical” means, such as physical therapy and medications. Physiatry is also commonly referred to as physical medicine or rehabilitation. Physiatrists specialize in a wide variety of treatments for the musculoskeletal system including: muscles, bones, and associated nerves, ligaments, tendons, and other structures. They also specialize in musculoskeletal disorders that cause pain and/or difficulty with functioning. Orthopaedics is the medical specialty that focuses on injuries and diseases of the musculoskeletal system. This complex system includes bones, joints, ligaments, tendons, muscles, and nerves and allows patients to move, work, and be active. A neurologist is a medical doctor or osteopath who has trained in the diagnosis and treatment of nervous system disorders, including diseases of the brain, spinal cord, nerves and muscles. Neurologists perform neurological examinations of the nerves of the head and neck; muscle strength and movement; balance, ambulation, and reflexes; and sensation, memory, speech, language, and other cognitive abilities. Neurosurgeons are physicians who specialize in the diagnosis and surgical treatment of disorders of the central and peripheral nervous system including congenital anomalies, trauma, tumors, vascular disorders, infections of the brain or spine, stroke, or degenerative diseases of the spine. The role of the rheumatologist is to diagnose, treat, and medically manage patients with arthritis and other rheumatic diseases. These health problems affect the joints, muscles, bones and sometimes other internal organs (e.g., kidneys, lungs, blood vessels, brain). Internists manage common illnesses that affect adults, including typical viruses and infections, depression and anxiety, or the aches and pains. Internists also treat chronic illnesses such as diabetes, hypertension, high cholesterol, and asthma. Cardiologists are doctors who specialize in diagnosing and treating diseases or conditions of the heart and blood vessels—the cardiovascular system. A health care profession concerned with the diagnosis, treatment and prevention of disorders of the neuromusculoskeletal system and the effects of these disorders on general health. Chiropractors exercise manual and manipulative therapy for the treatment of joint dysfunctions. A medical practitioner who treats acute and chronic illnesses and provides preventive care and health education to patients. General practitioners intend to practice a holistic approach that takes into consideration the biological, psychological, and social factors relevant to the care of their patients. Their duties are not confined to specific organs of the body, and they have particular skills in treating people with multiple health issues. Respirologists, sometimes referred to as pulmonologists, are medical doctors who further specialize in the diagnosis and treatment of lung disease, such as asthma, emphysema, or pneumonia. Dentistry is the branch of medicine that is involved in the study, diagnosis, prevention, and treatment of diseases, disorders, and conditions of the oral cavity, commonly in the dentition but also the oral mucosa, and of adjacent and related structures and tissues, particularly in the maxillofacial (jaw and facial) area. A urologist is a physician who has specialized knowledge and skill regarding problems of the male and female urinary tract and the male reproductive organs. Because of the variety of clinical problems encountered, knowledge of internal medicine, pediatrics, gynecology, and other specialties is required of the urologist. Urology is classified as a surgical subspecialty. Speech-language pathologists are skilled, autonomous professionals with specialized knowledge, skills, and clinical training in assessment and management of communication and swallowing disorders. Occupational physicians specialize in the study, diagnosis, and treatment of a vast range of illnesses caused by the industrial environment. Specialists in occupational medicine generally have a strong background in internal medicine, with special training in the causes of industry-related illnesses. Occupational therapy (OT) is the use of treatments to develop, recover, or maintain the daily living and work skills of people with a physical, mental, or developmental condition. Occupational therapy interventions focus on adapting the environment, modifying the task, teaching the skill, and educating the patient to increase participation in and performance of daily activities. Clinical neuropsychology is a sub-specialty of clinical psychology that specializes in the assessment and treatment of patients with brain injury or disease. Neuropsychologists have knowledge of the brain, including an understanding of areas such as neuroanatomy and neurological disease. The discipline involves the application of standardized measures in the study of brain-behavior relationships. They use neuropsychological tests to assess cognitive deficits, and they are involved in the management, treatment and rehabilitation of cognitively impaired patients. Neuropsychology also entails the development of models and methods for understanding normal and abnormal brain function. A psychiatrist is a physician who specializes in the prevention, diagnosis, and treatment of mental, addictive, and emotional disorders. Psychiatrists are trained in the medical, psychological, and social components of mental, emotional, and behavioral disorders and utilize a broad range of treatment modalities, including diagnostic tests, prescribing medications, psychotherapy, and coping with stress and crises. Ophthalmology is the branch of medicine that deals with the anatomy, physiology, and diseases of the eye. An ophthalmologist is a doctor of medicine who specializes in the diagnosis and treatment of disorders of the eye, in addition to diagnosing systemic disease that manifest in eye signs or symptoms. A physiotherapist is a health care professional primarily concerned with the remediation of impairments and disabilities and the promotion of mobility, functional ability, quality of life and movement potential through examination, evaluation, diagnosis, and physical intervention. to receive availability updates of our expert assessors, who are leaders in their medical fields. AssessMed is a Canada-wide independent medical evaluation provider. Since 1991, AssessMed has been completing unbiased, evidence-based medical evaluation services and file reviews. We partner with expert clinicians and regulated health care professionals to provide accurate, high-quality examinations and reports. 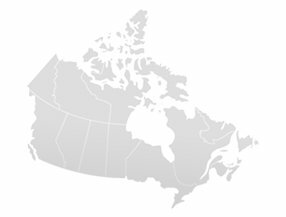 We offer these services across Canada, with offices in Ottawa, Toronto, London, Hamilton, Mississauga, Montreal, Quebec City, St. John's, Edmonton, and Vancouver. Our team is committed to professionalism, customer service, and to the safe and secure management of medical documents. Choose AssessMed to handle your medical evaluation process with ease. © 2019 assessmed.com. All rights reserved. Once you click on a link above, you will be directed to the appropriate referral form.